More expensive imports, delayed deliveries and a reduced pool of European Union workers could pose challenges – if those outcomes do follow Brexit. Manufacturing businesses across the UK have been waiting for more clarification for some time. Many firms have become accustomed to seasonal workers and ad-hoc labour to help meet production targets. In many cases, those workers have filled vacancies and bridged the skills gap across the engineering and manufacturing sectors. That workforce delivers the productivity many UK manufacturing organisations need. However, having easy access to that labour is also one of the reasons some producers have delayed investment in new machinery and technology. How will companies continue to expand and meet new challenges if fewer staff are available? One development has been increased appetite to invest in new production machinery. The last eighteen months has been interesting at AV Birch. Alongside ongoing projects, there have been some fascinating new client requests. Many of them have involved SMEs looking to automate processes to ensure production consistency. We provide a complete solution, from concept to installation. 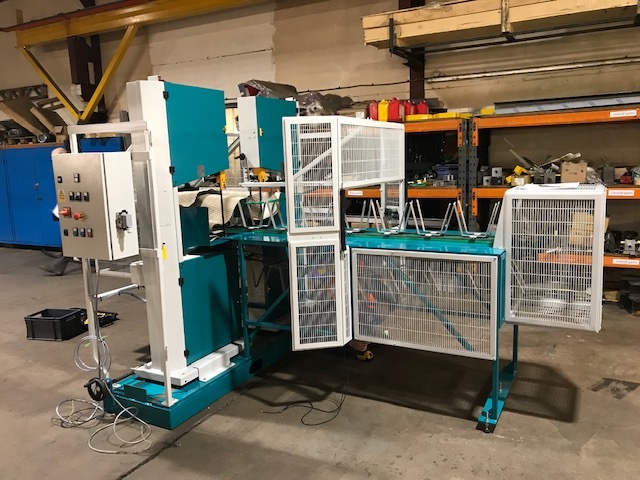 For those small-to-medium sized manufacturers, that’s exactly what they need – bespoke machinery, presses and racking for unique situations. Off-the-shelf products can’t give them what they need. Following global financial pressures after the 2009 banking crisis, there has been a reluctance to invest by many organisations. They have been cautious. That in turn has meant older systems and machinery have been retained. Labour costs have been high, and productivity often lower than it could be. It’s a huge leap for some SMEs, knowing whether investment in bespoke equipment will pay dividends in the longer term. The situation has now changed. Take one of our clients that has used a mix of staff and machinery to harvest, package and despatch garden shrubs to customers around the country. As Brexit negotiations have rumbled on, ongoing uncertainties have encouraged some of their workers to return to mainland Europe. It has left our client wondering how future orders can be fulfilled, and how the business can grow without much-needed staff with valuable skills. It was time to invest. That meant a conversation with the AV Birch design team. We listened, understood the requirements and offered potential solutions. With a diverse range of divisions that bring a wealth of skills to each project, we can manage projects from start to finish. We have an experienced in-house team. 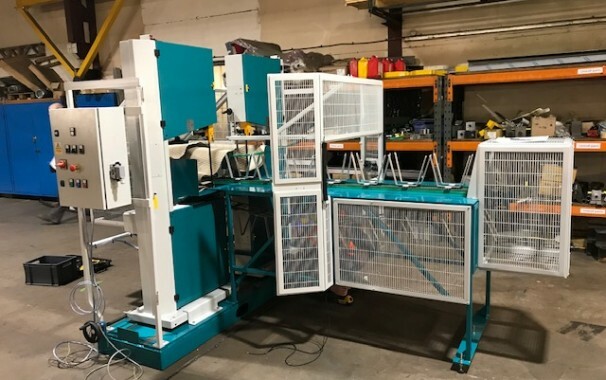 Our client needed complex cutting tools housed in a safe and secure casing. It needed to replicate the dexterity and speed of skilled workers. We work in partnership with clients to ensure that their requirements are fully met. Then, when we’ve completed the project, tested and delivered the machinery, there’s always our amazing service team to help keep things working efficiently. Seeing enquires about new machinery increase is great news for AV Birch. Our abilities are tested and we’re constantly learning and evolving what we offer. It’s also promising for the UK economy. We source many parts and components from nearby suppliers – around the Shropshire and wider Midlands area where possible. That means great cash-flow for the country’s firms, shorter delivery times and less impact on the environment as lorries and vans travel shorter distances. We also employ local people who then spend wages in their local communities. Brexit will be a challenge for several years to come. However, with a positive attitude and a commitment to invest in UK skills and innovation, there are many reasons to be cheerful. 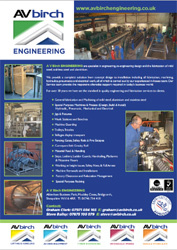 If you have an idea, the need for new machinery or a desire to enhance productivity, give us a call. We’re here to provide engineering solutions whatever the challenge.